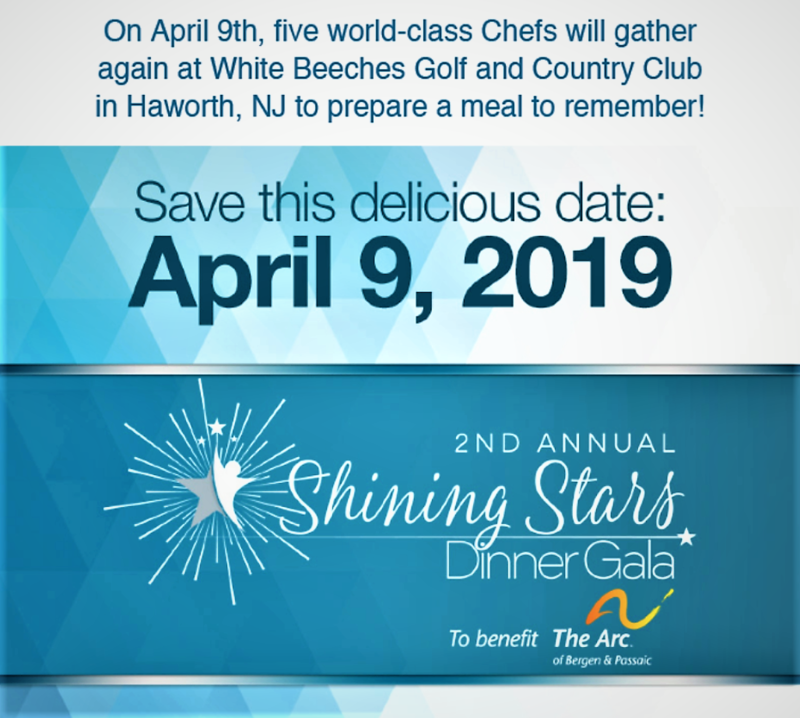 On April 9th, ﬁve incredible Chefs will gather at White Beeches Golf and Country Club in Haworth, NJ to prepare a 5 course meal to remember! Every plate served this evening will be raising funds for The Arc. Each course will be prepared by one of our celebrity chefs. Don't miss this ﬁve-star event where you will enjoy dishes from: David Burke – David Burke Tavern and BLT Prime, Peter Kelly – Restaurant X, Xaviars X20, Tom Silvestri – White Beeches, Claudia Rovegno - From Scratch, Naomi Moschitta - Threefold Café, Blujeen.